Landlords recall their worst tenant stories ever! 1. Tenants lived upstairs for 3 months, didn’t pay the third month’s rent, called in (as me) to cut off my utilities, reported me to Children’s Protective Services for child abuse… moved out leaving 18 bags of garbage & reported me to the fire department for the garbage hazard. Checking out a tenants background can help prevent this. Many tenants that engage in this type of behavior have done this in the past. 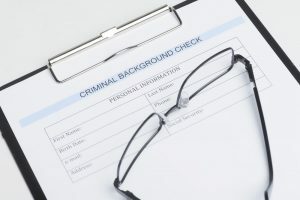 A complete and comprehensive background check is a must these days. Make sure to check the court records, with prior landlords and credit. 2. I had a tenant pour concrete down the drains. There was no repair possible. It was literally more cost-effective to demolish, salvage what we could and rebuild. It even got into the septic system and we had to settle with the city for damaging their infrastructure. Biggest nightmare ever. We sued the former tenants, but when you’re suing a scumbag, best case scenario, you might get a 1990 Toyota Tercel. This type of damage is usually covered by the landlords insurance policy. Make sure that you have good insurance coverage in effect at all times. Don’t skimp on this. In addition, the subrogation division of the insurance company may go after the tenant that caused the damage and vandalized the rental unit. Tenants are pretty decent as a whole, but if you have to evict, it’s worth it to just offer them a couple hundred dollars cash for keys to move out while you’re there and can watch the whole process. 3. Rented to a tenant that seemed to have their act together. Well dressed, articulate, owned his own business, and great credit. That façade didn’t last to long. 2 months in, multiple noise complaints and police had to show up for various domestic violence assaults. We evicted him, and he left quietly, but not before he decided to graffiti all of the walls. There is never a guarantee that a tenant will be a good tenant forever. 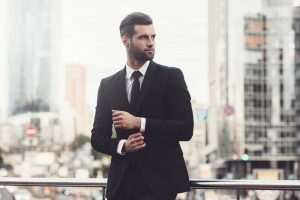 You can prevent a lot of these types of issues by doing an extensive background check, getting a security deposit that is equal to two times the rent. It’s always a good idea to make sure that the tenant has income equal to at least three times the monthly rent.